Jack3d is STILL Legal for Army Soldiers - Its just not sold on Base! Get it Here! We’ve just received some very bad news: Jack3d, and all other products containing DMAA / 1,3-Dimethylamylamine HCl (which includes OxyELITE Pro, USPLabs’ fat burner) has been pulled from the shelves of all army base stores. Jack3d and OxyELITE Pro are NOT illegal or banned from use by Army soldiers. They are simply no longer being sold on army bases. Of course, the good news? You can still get it extremely cheap on this site using our price comparisons. So let’s talk about what happened here. Second, we have just spoken to an Air Force officer… you MUST read what he said below! It’s not specifically the pre workout supplement that’s in trouble, but DMAA itself, which is of course in the product. Many think that this is because of drug test problems, but that’s not the problem either – army representatives are claiming that there are side effects of these products that they are concerned about. 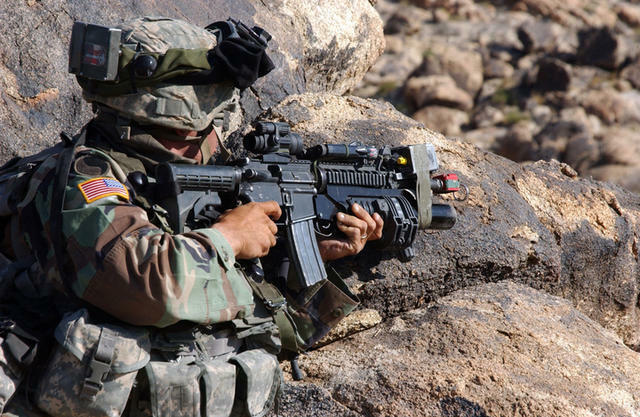 The reason being is that two soldiers had heart attacks when training after using DMAA products – but they had underlying medical conditions and should NOT have been using DMAA per any product’s label!. This will come to light in due time. USPLabs has already done the due diligence and shown that all health markers are within safe ranges after taking Jack3d. You can read the entire study at http://www.jack3d.org/Jack3d_OxyELITE_Pro_Safety_Study.pdf. Yes, these do raise blood pressure a bit, but within typical ranges of a couple cups of coffee! There are hundreds of thousands of Soldiers, Marines, Airmen, Special Forces, and Sailors that get completely worked during training. Many of them come in unprepared for their initial boot camps. They get damn near tortured in over 100 degree weather. These are not prime conditions for someone who is sick, let alone someone who is sick and using stimulant-based supplements! Repeat: The two that had heart attacks had underlying medical conditions, and may have been in serious trouble in this kind of training. anyway! However, on this site, we do advise you to seek a medical professional’s opinion before starting any supplementation program, including one containing USPLabs products or DMAA. We also have a Jack3d Side Effects page, which shows that yes, of course this has stimulants, and the side effects of ANY stimulants are NOT for people who have cardiovascular issues. In our personal opinions, once again, this is nothing but a typical government-run, knee-jerk reaction based upon fear and misinformation. DMAA has been safely doing wonders for nearly everyone who’s tried it, when it comes to focus, energy, and weight loss. Furthermore, the hypocrisy stinks, seeing as the military has been issuing Go Pills, which are AMPHETAMINES, to many fighter pilots, special forces, and more. DMAA isn’t anywhere NEARLY as insane as this adderall-like stuff. This past weekend, I hung out with an ex Air Force officer. And he shed the REAL light on why Jack3d is banned by the Air Force (note that this article deals with the Army, but the same situation applies). In the Air Force, older officers, such as Captains, need to take physical fitness tests every couple of years to ensure that they are still in shape. Part of this entails running 1.5 miles in less than 12 minutes. For most of us on this site, that’s a joke. But, many Air Force captains are no longer in the field. They’re well-paid, they have desk jobs, and they get fat and lazy. So really, this test is really a WEED-OUT test to get rid of the lazies. It’s a great, effective tool to keep only the sharpest officers. That is… until Jack3d came along. What started happening over the past couple of years is that the Captains would simply take a “bunch” of Jack3d, and go and run lights-out. The numbers were skewed out of control – EVERYONE was passing the tests! Obviously, we’re not suprised – Jack3d is a performance enhancer, and people on this site who use it PROPERLY absolutely love it for cardio sessions, as well as lifting. The problem is that the Air Force didn’t like their “weed out test” getting gamed, and the fat and lazy officers who were cheating the system were also NOT healthy candidates for Jack3d. Many of them would have to push too hard to make the times — pushed to the point where their bodies couldn’t handle it — and they would get sick, lightheaded, or feel very feint after passing the test. According to the label, these are the people who shouldn’t use the product in the first place, and definitely shouldn’t be max dosing it like they were!!! This is clear misuse of the product, and it is not endorsed by us, USPLabs, and obviously not the Air Force. But it’s what happened. So what’d they do? They banned the product from these tests and from all military posts – BECAUSE IT WORKS TOO WELL. And now they want it banned. Very interesting indeed. Jack3d Banned from Army Shelves? What to Do Now? Check with your governing body / drug testing sponsor to make sure that you can still take a DMAA-containing product. As of right now, YOU CAN. Check with your doctor to ensure that you have no cardiovascular issues. 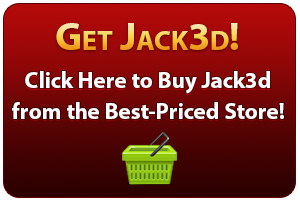 Go online and buy Jack3d or OxyELITE Pro from the cheapest store, which we make easy for you. See the link below! Enjoy the world’s #1 pre workout supplement. I think it’s crazy that the product is being pulled from shelves when no one has even pointed out, as unfortunate as this situation is, these men could have had underlying health problems. So many people are quick to jump to conclusions that a product is harmful, when in actuality, do we really know that the product was taken as instructed? Thanks for the comment. Yeah, we really don’t know anything… While Jack3d is intense, it’s not nearly as intense as other things that the army willingly profits off of. We just need to be aware that it is not banned, it’s simply not on their shelves as of right now. I have used jack3d and I love the way it makes me feel in the gym. I am experiencing ED side effects from it and con not take it any more. The 1,3 is the cause took me fore ever to figure it out. Common problem with all 1,3’s it seems. ive been in the army and deployed 2 afghanishitstan. alot of soldiers take so many supplements and think they know what tehyre doing, reality is theyre dumb as a dog, dont know anything about nutrition or physical training and end up ruining it for eeryone else because some idiot doesnt know how to read a lable/know his own physical capabilities. Seems to me that our government are very keen to ban any supplement that actually works – wonder why, eh??? Ask ASIO/CIA/Federal police how illegal drugs get into our country – Our very own government sponsored drug dealers – they don’t want competition. Fact – not conspiracy. Follow the money – connect the dots! I am an Army Reservist and according to Military Times, soldiers ARE PROHIBITED from using the supplement pending further testing on their health effects. I am in the military and have been for the last nine years. They sell Jacked 3D on military bases… I am looking at some right now on the PX at Fort Sill. There is a warning label next to it stating that it is illegal for US Soldiers to use this product, the only reason it is sold on the base is for spouses. I love it. No further comment needed. Thanks for the update Clayton!